High-quality Amplifier dust cover for GENZ BENZ 115 T UB CABINET. High-quality Amplifier dust cover for GENZ BENZ 1288 T UQ CABINET. High-quality Amplifier dust cover for GENZ BENZ 150 LT COMBO. High-quality Amplifier dust cover for GENZ BENZ 60 TS AMP. High-quality Amplifier dust cover for GENZ BENZ BLACK PEARL 30 112 COMBO. 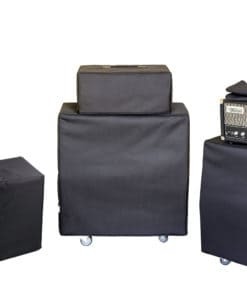 High-quality Amplifier dust cover for GENZ BENZ BLACK PEARL 30 2 X 12 COMBO. High-quality Amplifier dust cover for GENZ BENZ BLACK PEARL BP 30 AMP. High-quality Amplifier dust cover for GENZ BENZ EL DIABLO 100 COMBO. High-quality Amplifier dust cover for GENZ BENZ FOCUS LT 410 CABINET. High-quality Amplifier dust cover for GENZ BENZ G FLEX 212 CABINET. High-quality Amplifier dust cover for GENZ BENZ NEOX 112 T CABINET. High-quality Amplifier dust cover for GENZ BENZ NEOX 212 T CABINET. High-quality Amplifier dust cover for GENZ BENZ SHANANDOAH 60 COMBO. High-quality Amplifier dust cover for GENZ BENZ SHEN 150 LT EXT 12 CABINET. 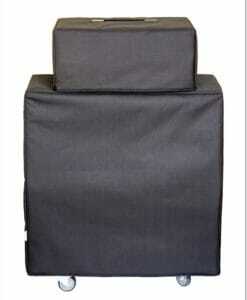 High-quality Amplifier dust cover for GENZ BENZ SHENANDOAH ACOUSTIC SHEN 100 COMBO. High-quality Amplifier dust cover for GENZ BENZ SHENANDOAH PRO LT COMBO. High-quality Amplifier dust cover for GENZ BENZ SHUTTLE 6.0 12 T COMBO. High-quality Amplifier dust cover for GENZ BENZ SHUTTLE 6.0 2 X 10 COMBO. High-quality Amplifier dust cover for GENZ BENZ SHUTTLE STL 3.0 10 T COMBO. High-quality Amplifier dust cover for GENZ BENZ SHUTTLE STL 3.0 8 T COMBO. High-quality Amplifier dust cover for GENZ BENZ STL 12 T CABINET. High-quality Amplifier dust cover for GENZ BENZ TRIBAL SERIES TS 112 CABINET.